Due to the double Shelby/Hertz 50th anniversary of the original rental GT350 H(ertz) debut Shelby American is releasing a new rental S550. 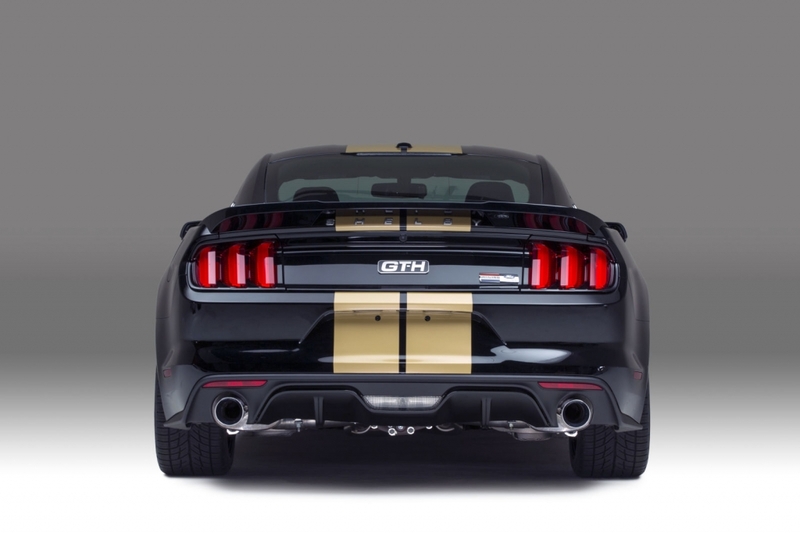 There will be 140 units of modified Hertz-edition Shelby Mustang GTs for the 2016. Of course those will feature a black or Hertz gold body with vice versa striping. Our goal was to give everyone a chance to add some fun to their travel with a distinctive American pony car,” said Doug White, Ford Performance Parts manager. “So Ford Performance and Shelby American sharpened the handling, improved the performance, sweetened the exhaust note and added distinctive Hertz styling to the Mustang. Anyone who rents a limited edition Ford Shelby GT-H will enjoy a very special driving experience. As with the past two generations, the 2016 Ford Shelby GT-H is instantly recognizable with several styling enhancements that celebrate its heritage. 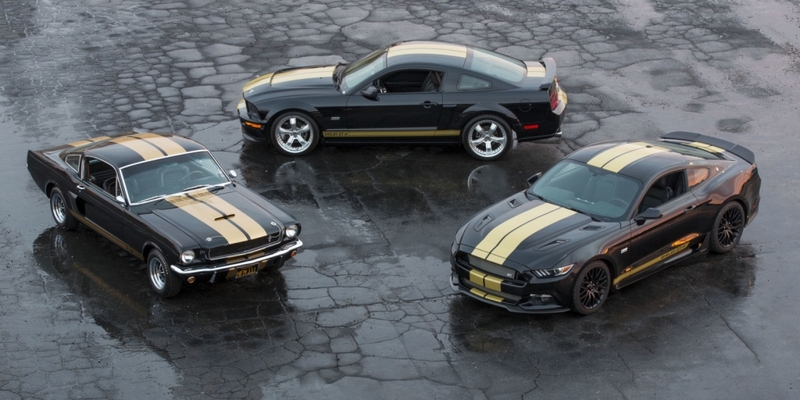 Each Shelby GT-H will wear black exterior paint, set off with gold racing stripes, a hallmark of Hertz vehicles dating back to the 1920s. Shelby’s traditional “Le Mans” dual racing stripes are combined with a set of rocker stripes that include special “Shelby GT-H” nomenclature. 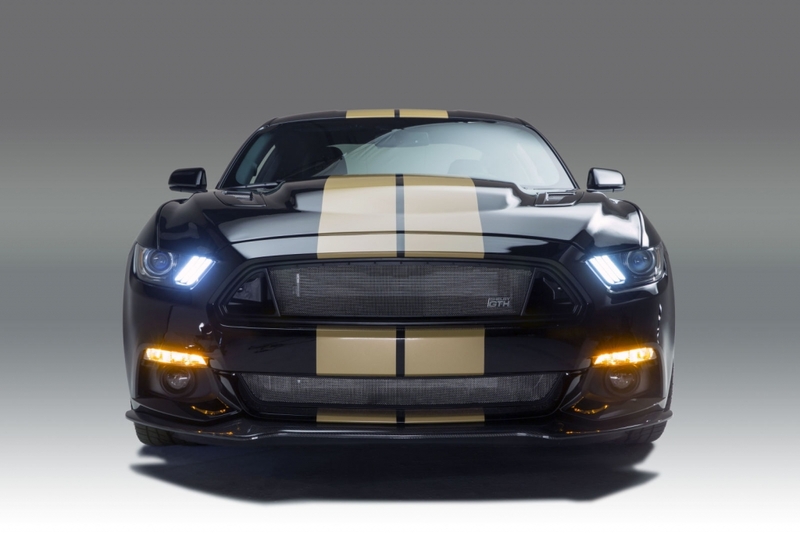 Each car will also wear a Hertz Edition emblem on the front fenders, and feature Hertz Shelby GT-H sill plates and a numbered badge. Ford Performance is supplying a cat-back performance exhaust for that throaty sound that will make this car unmistakably a Shelby Mustang GT-H. To put all of the horsepower to the ground, the Ford Shelby GT-H also comes with the Ford Racing Handling Pack, including special-tuned dampers, lowering springs, sway bars and a staggered wheel kit. The Shelby GT-H rides on 19-inch aluminum wheels wearing high performance Michelin rubber. To hint at the 5.0 liter V8 engine’s capabilities, the Ford Shelby GT-H is fitted with a unique Shelby-designed vented hood, carbon fiber front splitter and rear spoiler. Special badges appear in the front grille, rear faux gas cap and trunk lid. Inside, Shelby GT-H logos are on the head restraint, sill plates and floor mats. Shelby American will build the cars at its assembly facility in Las Vegas. With total production expected to number only 140 units exclusively destined for Hertz rental fleets across the country, this special-edition car will give Hertz customers a truly exclusive driving experience.